Saturday, May 11th – Wednesday, May 15th: A five-day birding trip to Point Pelee National Park, Rondeau Provincial Park and Hillman Marsh Conservation Area. There is no experience quite like taking in spring migration at Point Pelee National Park. Overall, the birding is off-the-charts good; in fact, it is Birding Nirvana. As a guide, I assure you that you will get my very best in patience, information sharing, bird spotting, ID by sight and sound, and logistical coverage such as organizing carpooling and meals, as well as taking care of eBird lists. In 2018, the Eastern Ontario Birding group enjoyed superb birding, and in the end, between the three tour groups, we tallied a total of 210 species of birds. Warblers, tanagers, flycatchers, vireos, grosbeaks, wrens, thrushes, sparrows, terns and shorebirds are just some of the bird groups you’ll get to enjoy (and learn more about) during this tour. For more information with regards to last year’s trips, including eBird checklists and testimonials, please see EOB’s Point Pelee hub, here. Daily schedule: Each day, we will catch the first tram in the morning. This tram leaves the VC at 6:00 AM, but fills up beforehand. Each year, we generally arrive at the tram pick-up area, ready to birdwatch for the morning, at 5:45 AM. We will bird from 6 AM to approximately noon, with a coffee and snack break of fifteen minutes typically scheduled around 9-9:30 AM. After lunch, we will continue to bird for several more hours, where we will follow up on the morning’s sightings and even targeting rarities. Between 2:30-3:00 PM each day, I will wrap up the day’s tour. If birding is extraordinarily productive, I may continue birding on my own, birding right until dinner. Birding straight through the entire day isn’t for everyone, but, at any rate, I will open the invitation up to others, for those interested in joining. Each evening, I will schedule a sit-down dinner for the group. Dinner will be scheduled for 5:30 PM, giving us time to bird Hillman Marsh or Wheatley Harbour afterwards. 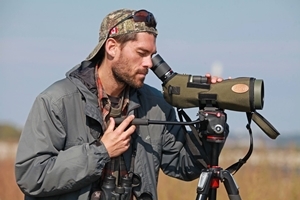 Duration: Approximately 9 hours of birding from the morning to mid-afternoon, with approximately 60-80 min of break time (morning snack/washroom breaks and lunch break) scheduled. Tour days will be wrapped up by 2:30-3:00 PM each day, giving clients 2.5 hours of rest before dinner, which will be scheduled at 5:30 PM each evening. We are likely to head to Hillman Marsh after our dinner for some shorebirding, as well; these additional outings typically last 90 minutes. So, at a minimum, we are likely to bird 10.5 to 11 hours per day; at a maximum, for those who choose to forego the 2.5-hour break before dinner, 13.5 hours. Overall Activity Scale: As much as we move at essentially a snail’s pace while birding Point Pelee, I still rate this tour a 4/5 regarding its activity toll. The repeated early mornings, long birding days on one’s feet, and long periods of time standing still do accumulate and take their toll on the body. I recommend that birders carefully consider the provided information with regards to our daily schedule before signing up for this tour. Cost: $ 625.00 per person (HST included), plus the cost of food and accommodations.